Outdoorsy people that regularly go hiking, walking or generally enjoying nature will really admire what New Hampshire has to offer. The Granite State has 48 mountains that have peaks higher than 4,000 feet, and the Appalachian Trail is open to anyone as it has mixed distances and difficulty levels. Also, the view that the white mountains offer those that conquer them will make the effort worthwhile, rewarding its visitors with awe-inspiring beauty. New Hampshire is also home to a beautiful coastline, and people love visiting the Hampton Beach State Park where they go swimming in the ocean or relax while fishing. There isn’t any sales tax for New Hampshire citizens, and as an added bonus – the US Institute of Economics and Peace ranked the state 3rd in the “Safest States to Live.” All of that included, if you’re looking for a relaxing place for assisted living where you can settle down and spend your golden years, New Hampshire might just be what you’re looking for. You must be wondering what the assisted living, senior living costs are like in New Hampshire, what kind of facilities it has, or the benefits you will be able to take advantage of, so let’s get down to it. In this article, we have collected information about New Hampshire’s senior living options, be it independent living or assisted care, including the various support systems that have been put in place and the amenities that these facilities have to offer their residents. Also, feel free to use the list of cities below in order to find the closest senior living option to the city of your choice. With a housing index of 117.90, New Hampshire is considered to be an expensive state to retire to when compared to the national average of 100, which doesn’t mean it’s the most expensive one. For example, one-bedroom apartments have an average monthly cost of $856, compared to the national average of $825. Two-bedroom apartments go for an average of $1,088 per month, compared to the national average of $1,027. Now, let’s take a look at the monthly senior living costs in New Hampshire. For starters, home healthcare has an average cost of about $4,767 per month. Home healthcare services can be used by seniors that prefer living in their own homes while a designated home healthcare aide provides help with housekeeping and daily tasks. Adult daycare facilities are operating statewide in New Hampshire, providing housing for seniors during daytime while their primary caregivers are busy tending to their own daily responsibilities. The average monthly costs for adult daycare facilities in New Hampshire are around $1,560. At these facilities, seniors are provided access to many social activities and they will also be able to receive therapies and health services, when needed. While adult daycare facilities do provide a form of health services, they don’t offer extensive nursing care, meaning it’s better suited for seniors that are still healthy, active, and mostly independent. Seniors that require a greater degree of help with daily tasks should turn to some of the many assisted living facilities available all over New Hampshire. Seniors at these facilities can expect to receive personal care and health services, as well as many amenities which we will mention below. The average monthly cost for assisted living facilities in New Hampshire is about $4,855. While not being the cheapest state to retire to, New Hampshire makes up for it with various benefits and local activities, allowing retirees to truly enjoy their golden years. Below, we have listed some of the benefits that people can expect to see in New Hampshire. Driving through the White Mountain National Forest, mostly popular during fall and winter when the falling leaves go through a whole specter of colors, making the trips there gorgeous, and the snowy mountain peaks will leave you with your jaws dropped. If you ever find yourself in Portsmouth, be sure to visit Prescott Park, which has lots of marvelous mountain views and charming bridges to appreciate. During summer people live spending time together while watching movies in the outside. If you love visiting museums, Concord’s McAuliffe-Shepard Discovery Center will welcome you with its planetarium that hosts shows throughout the whole week. Aside from the planetarium, this science museum has lots of exhibits on aviation and astronomy as well. Guided tours are offered to everyone that wishes to learn more about the exhibits displayed in this museum. People that love shopping will be pleased to find out that they won’t have to pay any sales taxes in New Hampshire. Lots of people from New England travel to this state from Massachusetts, Connecticut, Vermont, Rhode Island, and Maine so as to shop here and benefit from the lack of sales tax. Overall, New Hampshire has some of the lowest percentage of gross income in the nation. Additionally, this state doesn’t impose any taxes on personal income, meaning that retirement income isn’t taxed on the state level. The city of Portsmouth in New Hampshire is famous for being among the top cities with lowest unemployment rates out of all 372 metropolitan areas in the nation, including a place among the top 50 Best Markets to Find a Job! According to a report from the Bureau of Labor Statistics, the unemployment rate in New Hampshire is only 2.7%. This leads to the conclusion that job opportunities in this state are plentiful, meaning seniors that still feel like working should have no issues finding a part-time or a full-time job. Seniors that choose New Hampshire for spending their golden years have several senior living options at their disposal, depending on their personal preferences and needs. These include independent living, assisted living, memory care, and nursing homecare. Each of these senior living options are further explained down below. Seniors that are still mostly healthy and active, without the need for extensive healthcare should fit right in with independent living facilities. There are over 80 such independent living facilities available in New Hampshire, with an average monthly cost range of anywhere from $770 to $3,045, a cost determined by the location of the facility, among other things. Seniors that prefer apartment-style living have plenty of active senior communities for seniors aged 55+ or 65+ to choose from. These active senior communities usually include many useful amenities like gyms, walking and hiking trails, meeting rooms, pools and jacuzzies, and much more. There are over 100 assisted living facilities operating in New Hampshire, providing their residents with professional caregivers, quality healthcare, including access to various social and local activities. Residents of these facilities will be provided help with housekeeping, laundry services, transportation, and meal preparation, among other things. The average monthly cost range for assisted living facilities in New Hampshire is anywhere from $2,097 to $8,500. Seniors that suffer from Alzheimer’s, dementia, or other dementia-related ailments will find help at one of the 92 memory care centers operating in New Hampshire. The average annual cost for memory care centers in this state is around $76,081, which is a bit higher than the national average of $60,900. The more affordable memory care centers are located in the Hanover area for the cost of $3,040 per month, while the most expensive ones can be found around the Rochester area, for the average annual cost of $12,325. There are 235 senior living providers operating all over New Hampshire, and the majority of them are located in the southern parts of the state. With this amount of available options, seniors shouldn’t have any issues finding where to spend their golden years and reap the rewards from their past efforts. Over 15 adult daycare facilities are available to choose from in New Hampshire. The average cost for these facilities is about $17,841 per year. Most of the available adult daycare facilities are located in the southwestern area of the state, and especially Manchester and Nashua. New Hampshire is also home to 28 hospices whose main goal is providing housing and treatment for seniors that have been diagnosed with terminal illness. These hospice centers do a great job at minimizing the pain and suffering that comes with a terminal illness, allowing seniors to spend their remaining time in the best way possible. They do this by carefully administering medication, or by various therapies like art or aromatherapy. Grief counseling is also offered to both the senior and his family, in order to make this transition as pain-free and as less emotionally taxing as possible. Hospice care can be administered either at the senior’s own home or at a specialized facility. The costs associated with hospice care can be covered either partially or fully by Medicaid, Medicare, and private insurances, and the administrative staff at these hospices will provide help to seniors with paperwork in order to find out how to cover the expenses by his/her insurance. Last but not least, respite care facilities are another form of senior living providers available in New Hampshire, and their main goal is providing temporary care for senior while their primary caregiver is out taking care of their own duties and obligations, or who just need some time off to recuperate as they are often family members that are often unpaid. 100 such respite care facilities operate in New Hampshire, with an average annual cost of $106,215. The average cost range can be anywhere from as low as $9,135 to as high as $17,139 per month. The most expensive respite care facilities can be found around Rochester. Assisted-living-facilities.net will help you to find the best quality Assisted Living facilities in New Hampshire. You can also find skilled nursing, memory care facilities, retirement communities and assisted living regulations in New Hampshire. Here you can compare ratings and check prices and costs for assisted living. Read reviews and more, with the best directory for Assisted Living Facilities. The state of New Hampshire has 221 assisted living facilities. If you're searching for information about assisted living communities in New Hampshire, you need to look no further! 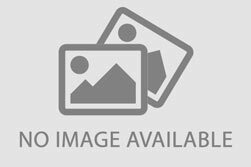 Assisted-living-facilities.net will provide you with the most comprehensive information about the number of 221 assisted living facilities for seniors that are currently available in New Hampshire. The assisted living services available in New Hampshire include in-home residential and assisted living situations, nursing homes, retirement communities, adult day care, and a range of independent living situations, you can also find Alzheimer's and hospice care. Searching in Assisted-living-facilities.net to find information about New Hampshire's assisted living communities is simple! You can use the site in these ways to search and find the assisted living facility or community that is the right one for your needs, and allows you or to your loved one, to live close to friends and family and to enjoy fully. Getting all the support of the amenities that New Hampshire has to offer. The average monthly starting costs for assisted living facilities in New Hampshire (higher for residents requiring memory care) starts and depends on the level of care the resident. 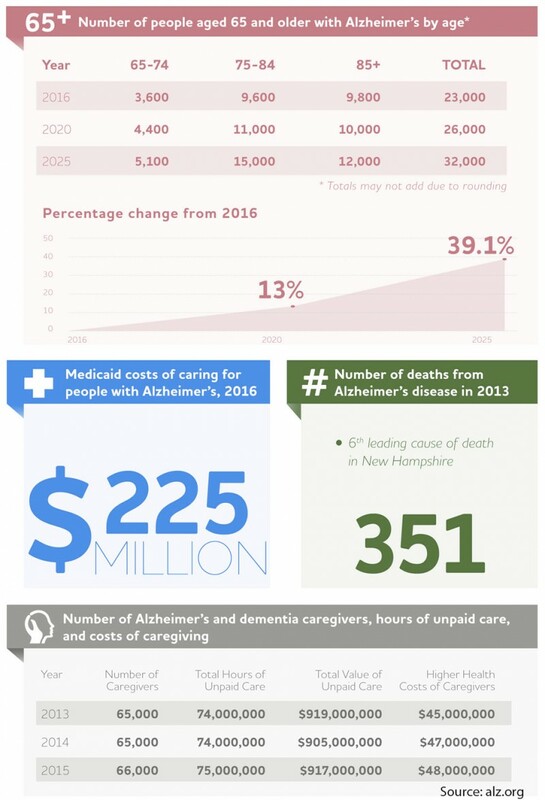 The average monthly cost of assisted living in New Hampshire starts from $2,100 to $3,900.